As I noted a few days ago, part of this year's mandate is to work on past photos in order to try to get the most out of them. 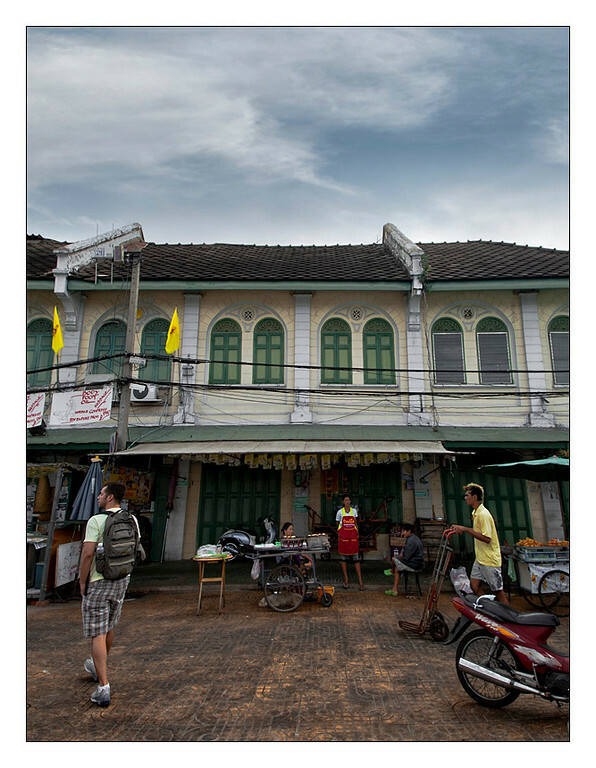 Today's posting is a photograph I took on my first day in Bangkok about three and a half weeks ago. After wading through crowds of tourists, many in the process of relatively harmless scams, we broke into a small park that borders the Chao Phraya river. Along the south side of the park were these shops with residences above and people working industriously at setting up their stalls and carts. A park near the office of the Department of Internal Trade, Bangkok.